You thought Santa parked his sleigh and hung out at the North Pole after Christmas? Nah. He hits the streets in a red car (check out the white bearded guy on the grill!) with antlers (a bit hard to spot... subtle, yet effective) and tracks down the best after-Christmas sales! What do you like to do after Christmas? When Nature Calls, even Elves Gotta Go! I didn't know what an Elf on the Shelf was until I visited my son's house and accidentally touched the leg of a red-suited elf hanging from a wire strung across the ceiling. "NO!" my grandchildren screamed. "If you touch him, he'll go away!" Well, apparently there is a second-chance clause for uneducated Grammys. After spending a day with a bandage on his leg, Freddy was back to moving around the house at night. 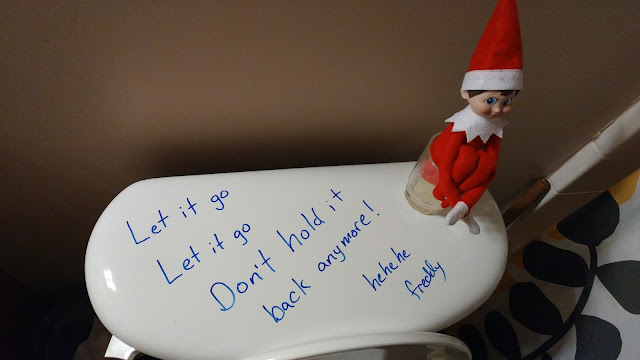 Here he is on the back of the toilet, poised over a cup with a bit of yellow liquid in the bottom, with the illuminating words, "Let it go, let it go, don't hold it back anymore! Hehehe. Freddy" written on the toilet lid. Do you have a similar Christmas tradition? 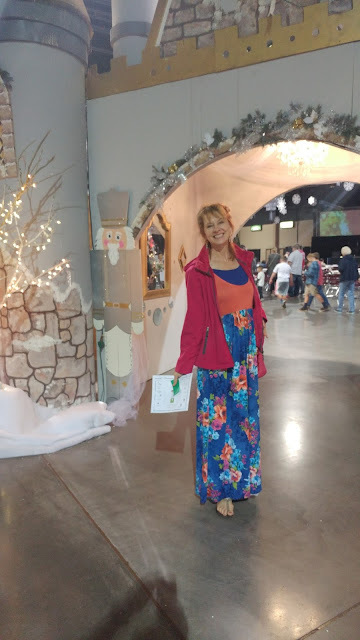 My friend Karen gave me a ticket to The Festival of Trees! 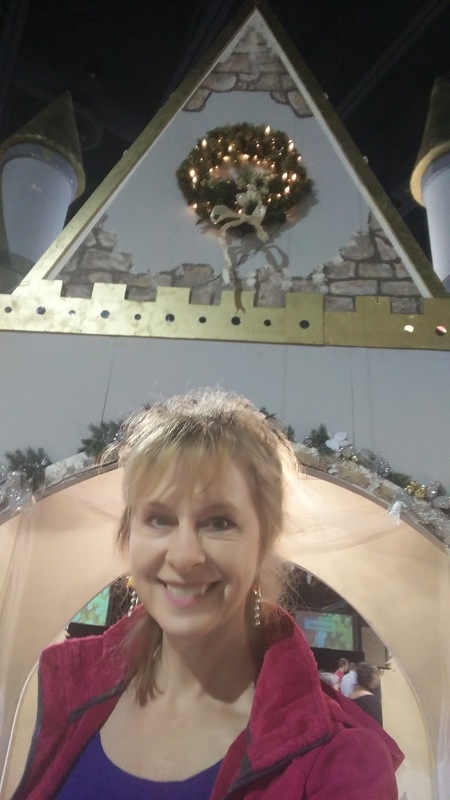 Besides the amazing array of creatively decorated trees, there was a gorgeous castle entry that made me feel like a pink-coated princess! 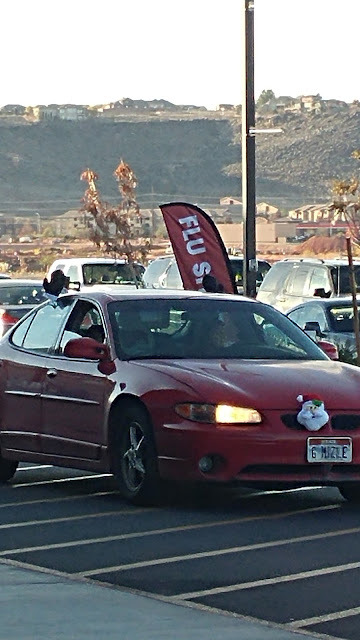 It was so helpful to get me into the Christmas spirit! I'm so glad for friends, and castles, and pink, warm coats! What are you glad for? 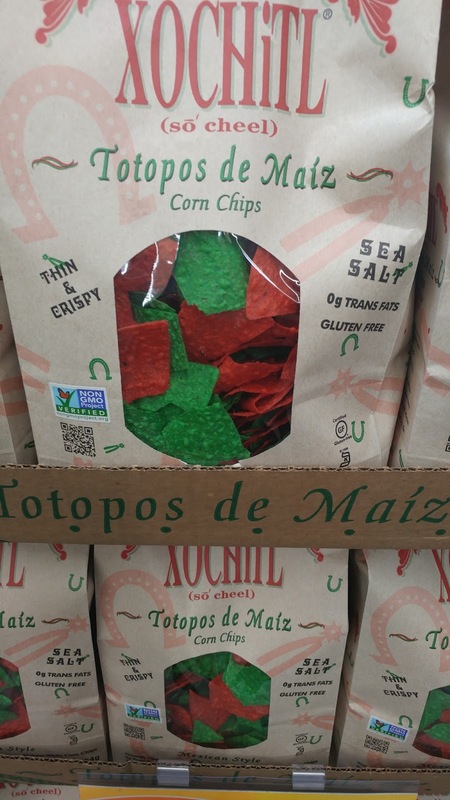 Even the Chips are in a Christmas Mood! When Rebecca and I met up with our equally tall, hot, blonde cousin, Jolene Rallison Garcia, at a store that had a sign that read, "Everyone wants a tall, hot blonde for Christmas," well, we had to take advantage of a photo op! 1. 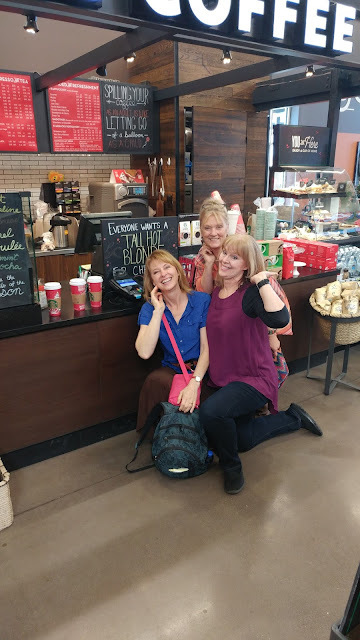 None of us stood up to show how tall we are. 2. I don't know how to crop this photo! What is your favorite beverage to warm up your insides in the winter?